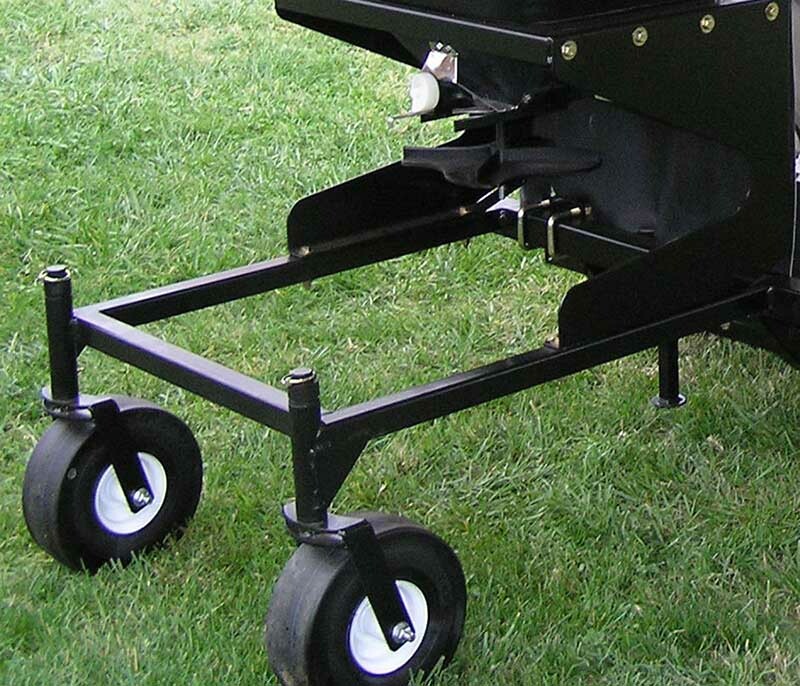 ProLawn's commercial grade transporter frame is designed to be attached to most front-mount, mid-mount mowers, and utility vehicles. 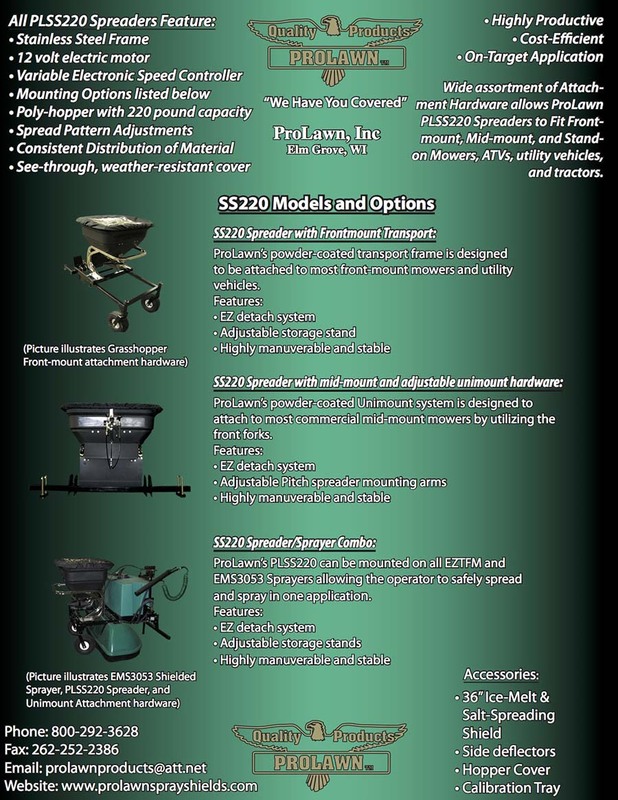 Its features include an easy detach system, an adjustable storage stand, highly maneuverable, and stable. 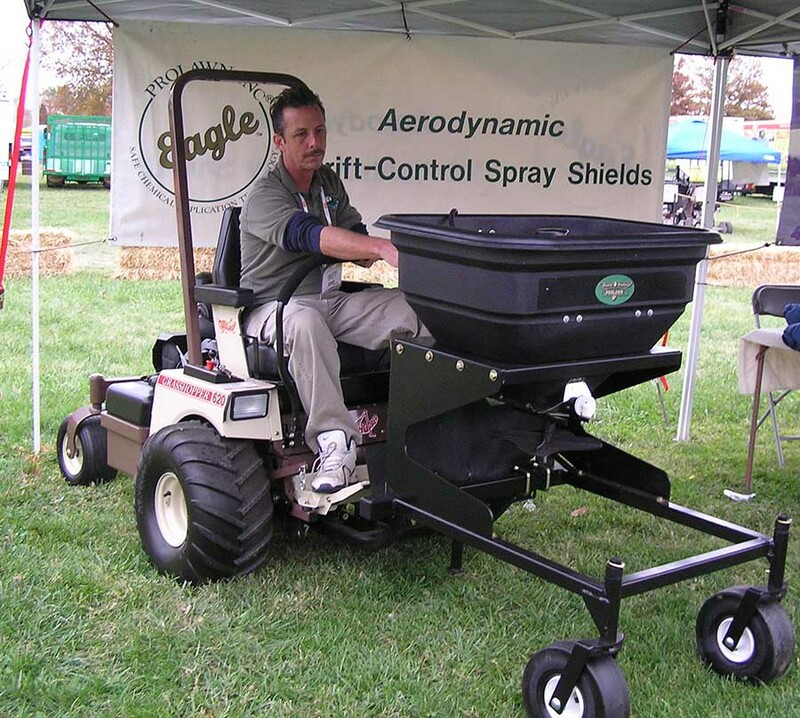 The operator is enabled to either spread and/or spray when attached to a sprayer. 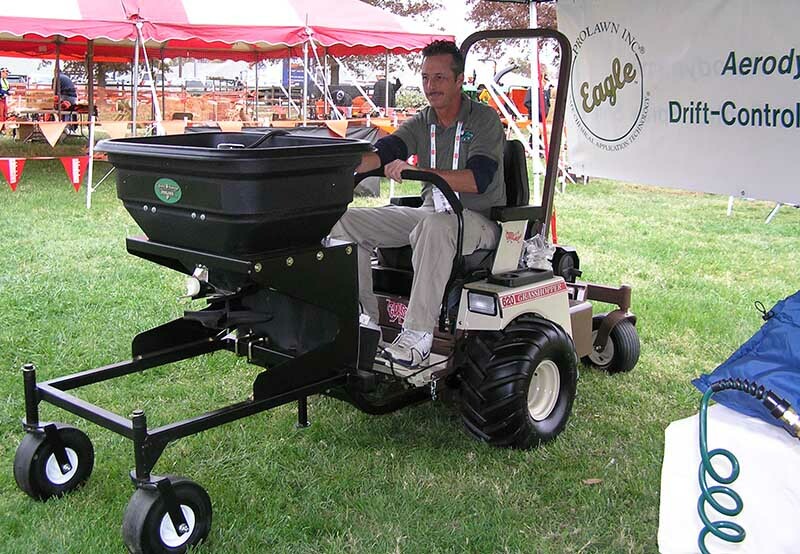 See more details about our spreader options on our Sprayer Attachments products page.